Although you may enjoy watching the antics of these little aerial acrobats, you probably don’t want squirrels snacking in your backyard. Here are a number of strategies you can use to keep squirrels out of the garden. Part 1. Do You Have Squirrels? Unlike some other garden pests, squirrels are diurnal, like humans, meaning they are wakeful and feeding during the day and sleep at night. Therefore, if you have a squirrel problem it is very likely you have seen active squirrels in your yard. Even if you haven’t yet caught them in the act, there are a number of clues you can look for to tip you off to a squirrel’s presence in your yard. Squirrel droppings are oblong pellets about the size of a small bean. They are brown to reddish brown and their color will lighten as the droppings age. They will most likely be scattered but may be found in piles in areas near common feeding spots. Squirrel droppings are similar to those of rats but a bit bigger and more barrel shaped than the more cylindrical shape of rat droppings. Squirrels are rodents, and rodents are defined by their continuously growing teeth. Rodents are constantly driven to chew things in order to keep their incisors chiseled and to prevent them from growing to unwieldy lengths. Unfortunately for the homeowner, squirrels sometimes decide that a wooden deck, garden structure or house makes a nice chew toy. Particularly when squirrels do not have access to nuts or other hard food sources to keep their growing teeth in check, they will resort to chewing whatever they can get their little mouths on. Squirrels have also been known to chew through plastic garbage bins and will chew the bark off an unsuspecting tree. Squirrels are driven by instinct to store nuts for the winter. During nut harvest season a single squirrel can bury over a hundred nuts a day! It’s a rather clever reciprocal relationship between the squirrel and the nut tree. The tree provides food and in turn, the squirrel plants trees for the future because there is no way those little guys will remember to dig up every single nut they planted each year. If you see squirrels digging in your yard they are most likely either burying food for the winter or digging up food they previously buried (or perhaps just trying to remember where they hid their stash!). If you have large trees around your yard, you might need to consider pruning back a few long branches to strategically reduce squirrel’s access to your home. First, spend some time observing the squirrels in your yard. If you are concerned they may get inside your house, cutting back the branches they use to get to your roof might ease your worries. Keep in mind that squirrels can leap across a distance of up to ten feet and some species of squirrels will nest in trees. 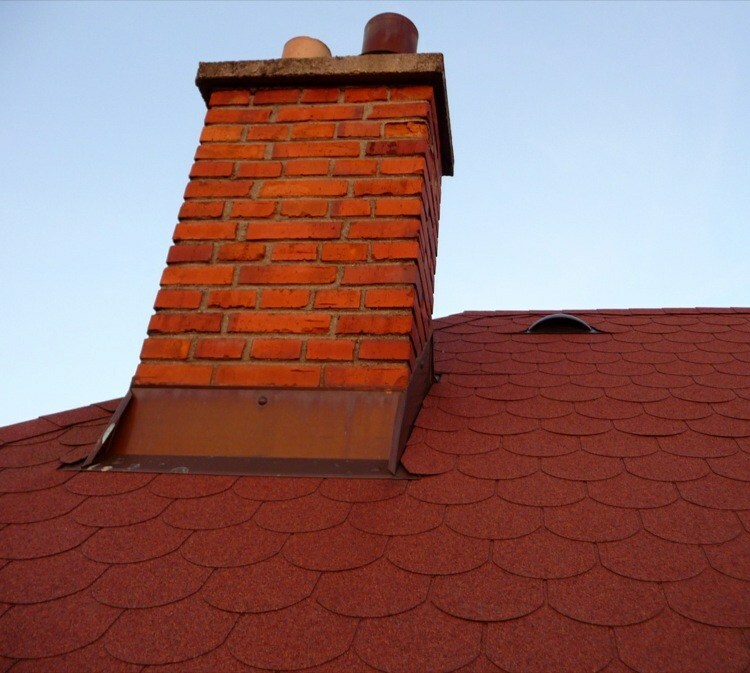 In order to prevent squirrels from making their home in your house or shed you’ll need to make sure they cannot access your buildings, even from the roof or chimney. You’ll also want to make sure your garbage cans are securely closed to avoid attracting squirrels and other animals. Metal bins will be more secure than plastic if squirrel chewing is a problem in your yard. 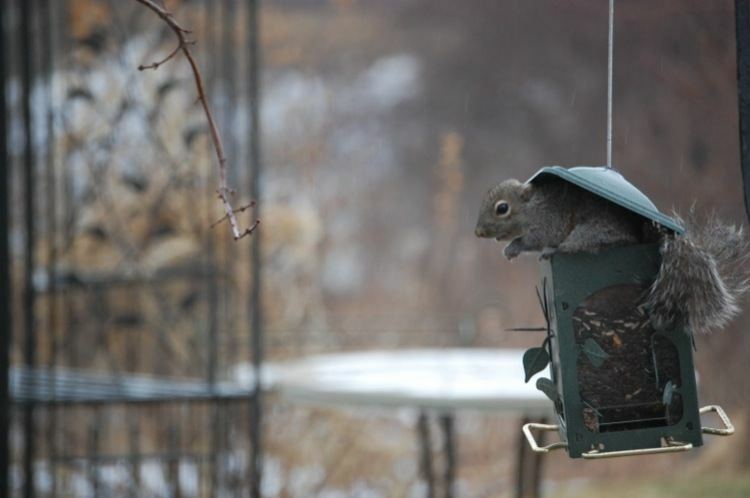 Remove bird feeders if squirrels are able to access them or if the birds tend to drop seeds on the ground. 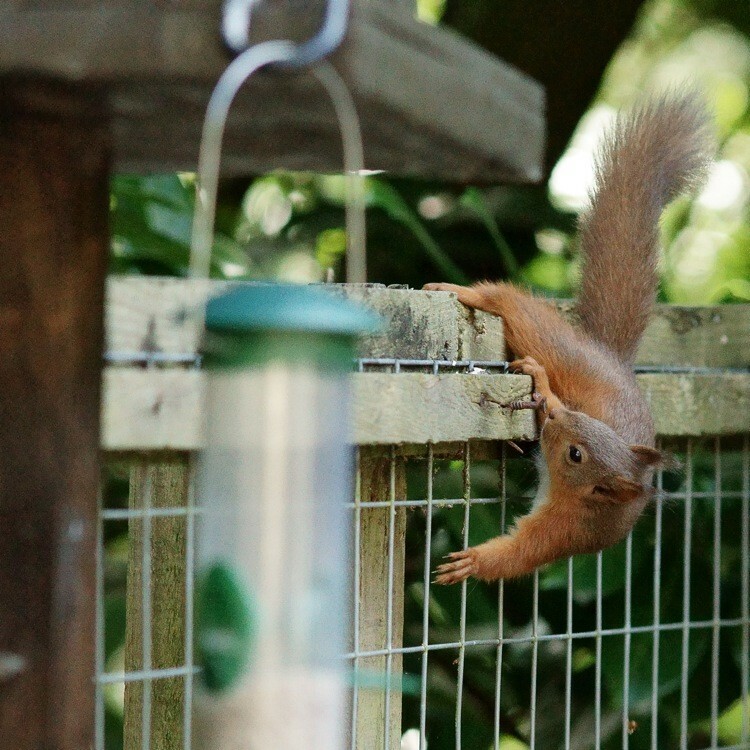 If you simply must feed the birds, then you may want to invest in a squirrel-proof feeder, but squirrels have been known to outsmart some of the cleverest designs. Using safflower seeds in your feeders may help as squirrels don’t favor them or mix cayenne pepper with your birdseed (apparently it doesn’t bother the birds). Bird enthusiasts may have to learn to compromise, either take down the feeders to reduce squirrel (and bird) activity in your yard or keep them up and tolerate the furry critters along with the feathered ones. Some people suggest setting up a squirrel feeder near the garden to distract squirrels from digging in or nibbling on the garden, but this tactic is likely to backfire. If you start deliberately feeding them you’ll only invite more squirrel problems to your yard and your neighborhood. In the absence of other food sources, squirrels may also feed at dishes of dog or cat kibble left outside, so keep these indoors or well protected. 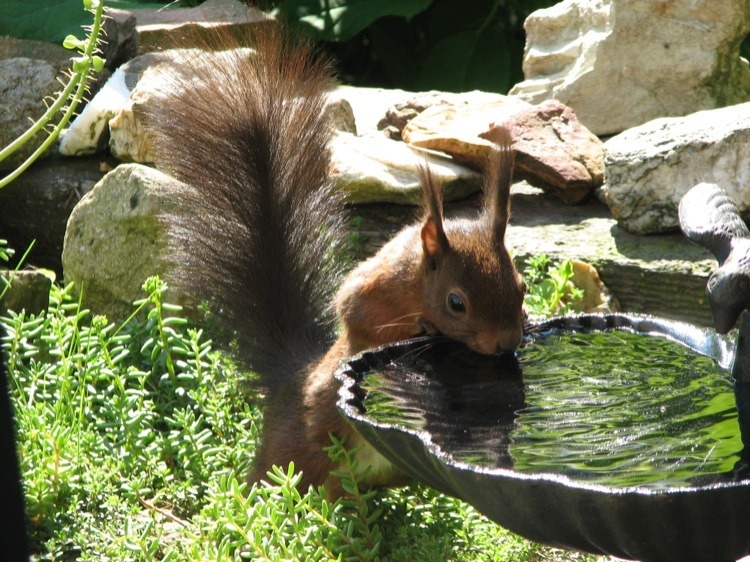 In summer, a bird bath may also draw in parched squirrels from the neighborhood in search of a water source. Squirrels most commonly feed on nuts and seeds. Consequently, the more you can keep your yard free of these, the less attractive it will be to squirrels. If you have nut trees, keep your yard raked and free of fallen nuts. Cut back any plants that are about to go to seed or cover seed heads with paper bags if you are saving seeds. If you have berries you’ll want to stay on top of picking them as soon as they are ripe, or cover them with netting. If you have a container garden on your patio you might find signs that squirrels have been digging and feeding. Many of the tactics discussed below will work well with containers. 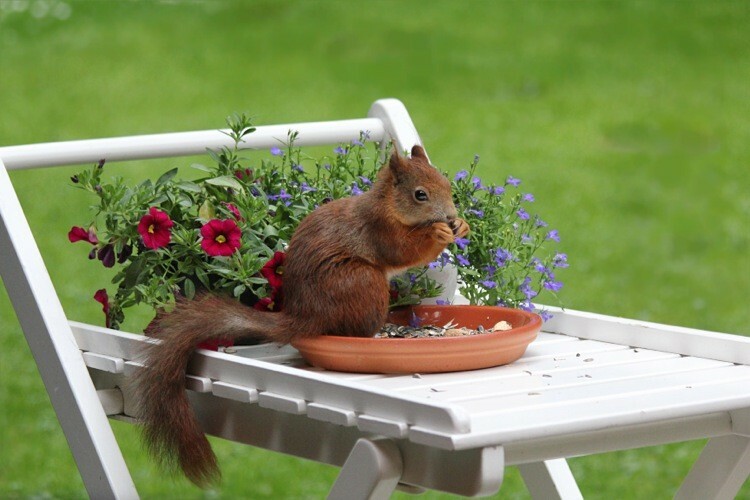 The simplest solution may be to just keep squirrel resistant plants in your patio garden. But if that’s not enough, or if you really want those tasty cherry tomatoes right outside your door, then try a wire mesh barrier or some of the deterrents listed below. If squirrels have been chewing on your house, deck or trees they will often return to chew at the same spot. Prevent further damage by covering the affected area with wire mesh. During nut harvest time wire mesh can be laid on top of the soil in a garden bed plagued by squirrel digging. 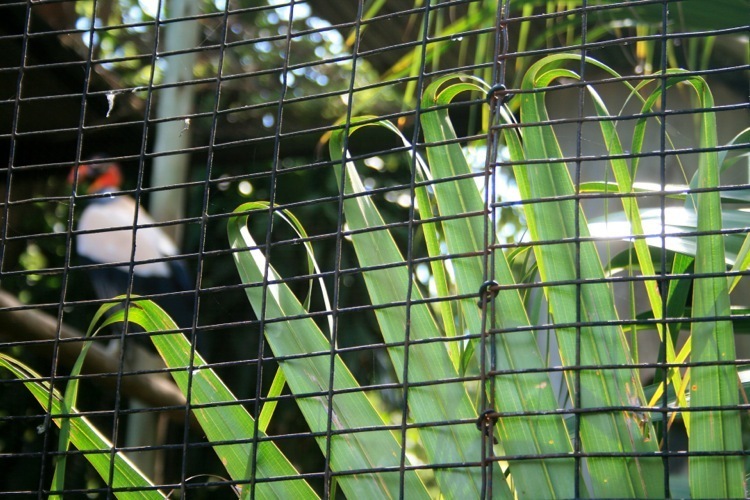 Wire mesh can also be used to make cages for garden beds or containers to protect your most valued plants. Quarter inch galvanized mesh will keep squirrels out effectively, but keep in mind that squirrels do dig, so you may need to bury your mesh at least a few inches if you’re using it to cage a bed that doesn’t already have a frame. 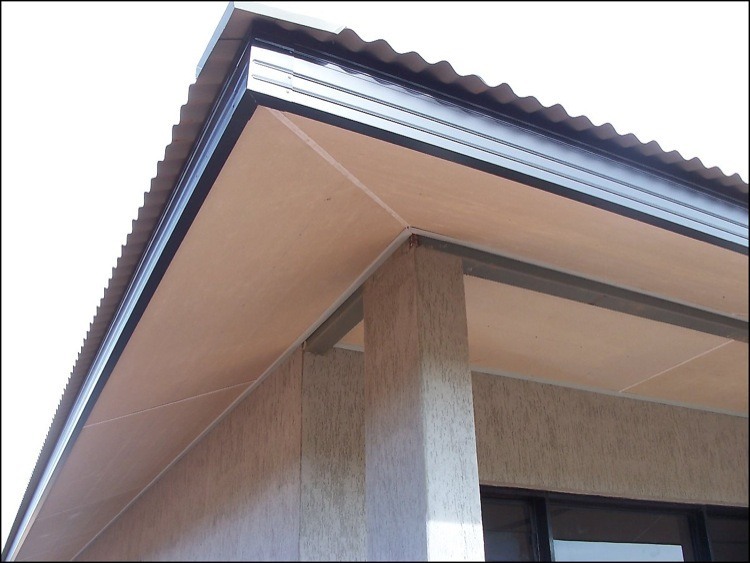 Visit your local hardware store and pick up some aluminum flashing to protect the vulnerable edges of decks, houses and other wooden structures from squirrel damage. This method can also be used to protect trees from chewing damage by squirrels. Flashing is available in a wide variety of sizes, shapes and colors. Rigid L-shaped pieces are best for edges whereas larger flexible sheets will work better for tree protection. Unfortunately, fencing is not nearly as effective with squirrels as it is with some other common garden pest animals. 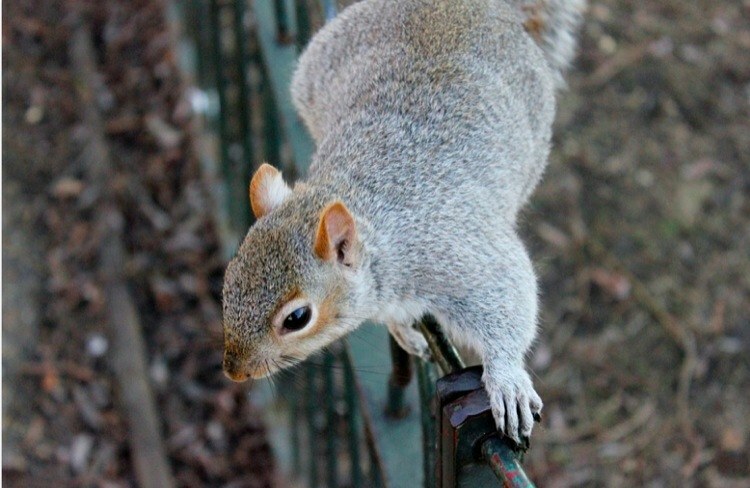 Squirrels are notoriously skilled climbers and scaling a sturdy fence is a walk in the park for a squirrel. 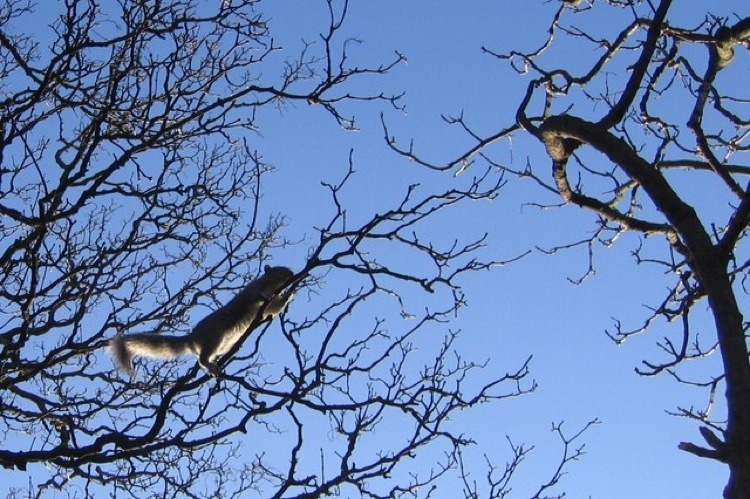 Squirrels may also drop from overhanging branches or wires into a fenced area. However, some gardeners swear by a simple fence made from very fine plastic mesh. It is so flimsy that squirrels seem to have great difficulty climbing up it. For best results, dig it into the ground at least a few inches to prevent them from squeezing under the fence. However, squirrels can chew through plastic, so this may or may not be effective in your yard. Alternatively, if you already have a more sturdy fence in place and the area is not too large, you could try covering the top of the fenced area with netting. Secure the netting along the edge of the fence to prevent squirrels from squeezing through. Just make sure you leave yourself enough head space so you can get in to do your weeding and watering! Applying a thick layer of leaf mulch or other organic materials on top of your garden soil will not only insulate the soil from moisture loss, it may also discourage squirrels from digging. But some gardeners find mulching has the opposite effect and squirrels seem to relish digging in their mulch. 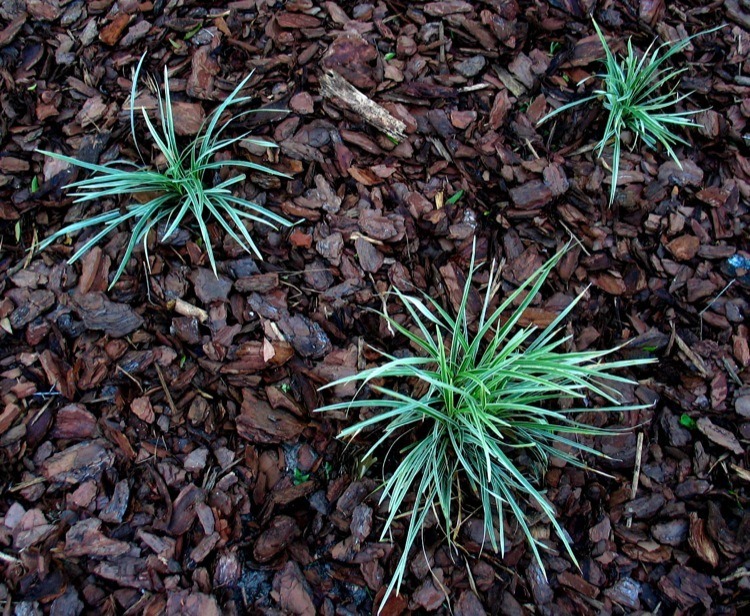 By experimenting with different types of mulch you may find one that keeps the critters at bay. Adding a sprinkle of cayenne pepper on top of your mulch may also help. 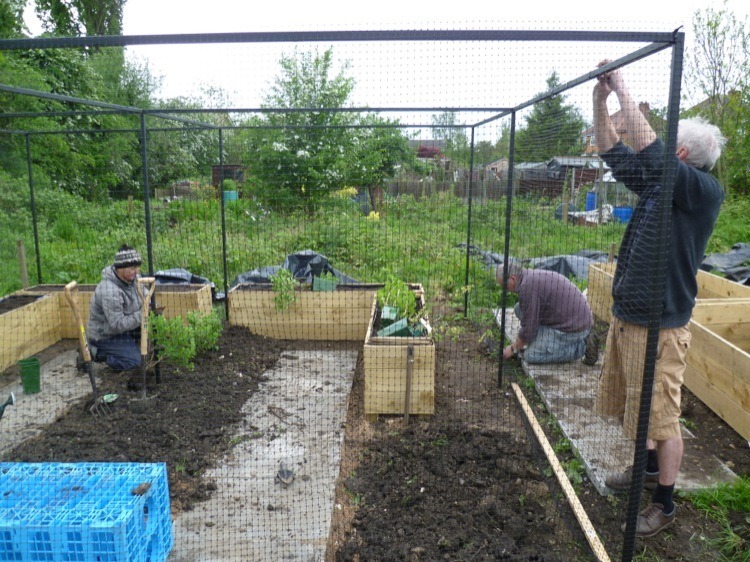 Alternatively, a layer of wire mesh underneath will keep them from getting too far into the soil. This could be a good way to protect your bulbs over winter when squirrels go digging for nuts. Next, what keeps squirrels away? Repellents can be applied in a variety of ways such as sprays, powders or soaked rags. You can use squirrel repellent to combat squirrel chewing activity in any area you’d like to protect but don’t necessary want to cover with wire mesh due to aesthetics. Generously spray the affected area with your chosen repellent and remember to reapply often. Placing a chew decoy nearby, such as a solid log or branch, you will give the squirrel a handy alternative. No matter which repellent you choose to use, you will need to add more periodically, especially after a rainfall. Don’t spray repellents on any plants that you plan to eat, at best the taste will be unpleasant, at worst there may be some toxicity. 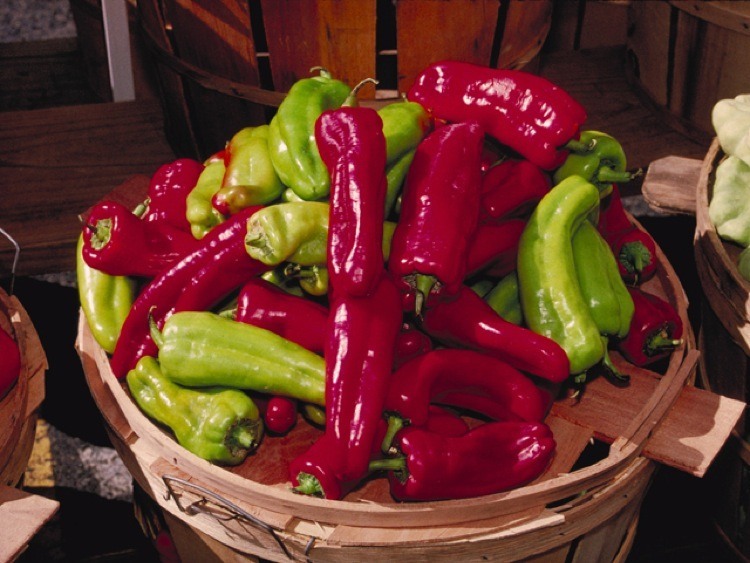 One of the most effective things to spray to keep squirrels away is hot chili pepper. Squirrels like an unexpected mouthful of hot cayenne about as much as most humans, so they will not want to revisit the site of a close encounter with the burning spice. But if you’re concerned about squirrel welfare this may not be the kindest method. Once a squirrel gets hot chili on its paws it can easily transfer to its eyes causing painful irritation or temporary blindness. If you’re willing to risk a little squirrel discomfort for the sake of your garden, there are a number of ways to apply hot chilies as a natural squirrel repellent. Sprinkle cayenne powder or chili flakes in your garden beds to reduce digging and protect bedding plants. Squirt some hot chili sauce on wooden structures that have been subjected to chewing damage to prevent further offenses. You can also make a homemade repellent spray by simmering some cayenne powder, chili flakes or some fresh hot peppers in water. You could also add some onion or garlic for a more potent deterrent. If you have a problem with squirrels climbing poles to get to your bird feeder, try mixing some cayenne pepper with vaseline and smearing it over the pole. If the vaseline doesn’t make it tricky enough for the little critters to keep their grip, then the cayenne should turn them off that tactic entirely. There are many other suggestions for squirrel repellent out there, but none seem to be as effective as hot chili pepper. Some commercial deterrents rely on scare tactics with predator urine from foxes or coyote, but these products don’t seem to be particularly effective. Similarly, bone meal or blood meal don’t seem to do much to keep squirrels away from the garden. Mothballs have very limited effectiveness and are toxic to other animals and humans so should be avoided anyway. Castor oil does seem to have some effectiveness with squirrels, voles and moles. Try making a spray with castor oil and dish soap diluted in water. Spray over vulnerable plants for protection. Apple cider vinegar is also used by some gardeners either in a spray or by soaking rags and leaving them in containers with holes poked in them in high squirrel traffic areas. The movement of garden pinwheel decorations, old compact discs or pie plates in the wind may deter squirrels from digging in your garden beds. Noise deterrents seem to have limited impact on most squirrels, but motion activated sprinklers can provide some startle effect. However, squirrels can become accustomed to all kinds of sounds, noise and movement. Rotating your use of these deterrents may prolong their effectiveness. 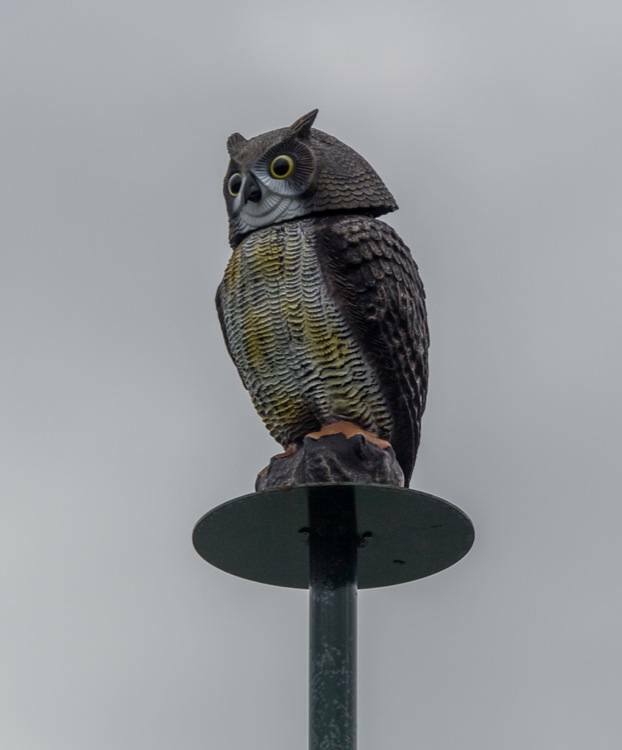 Fake owls, snakes and other predator decoys may help to deter squirrels from your yard, at least for a little while. Look for decoy models that involve some movement, as these will look more threatening to potential prey animals. Frequently changing the location of your decoys may also make them more effective. Probably one of the most reliable ways to reduce squirrel problems in your yard is to keep a dog or cat outside as much as possible during the daylight hours. Some dogs and cats will chase squirrels away, but even if they don’t, squirrels will instinctively want to keep their distance from any animals they see as potential predators. The lingering scent of pet urine will also help to deter squirrels and other garden pest animals. We know that squirrels love nuts, seeds and berries, but their menu doesn’t stop there. Squirrels will eat almost any fruit or vegetable. 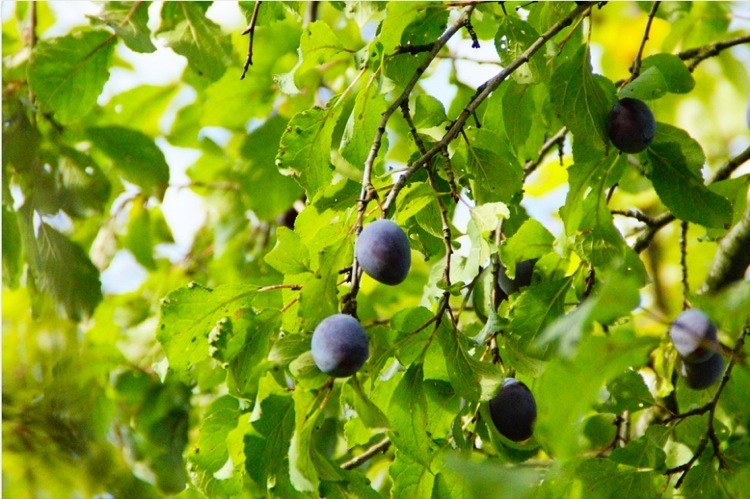 They love tree fruits, tomatoes, corn, sunflower seeds, grapes, kiwis and all manner of berries. Squirrels spend a lot of time in trees, so the more trees you have the more you invite the squirrels to live and play in your yard. If you have a problem with squirrels in your fruit trees there are a few things you can try. A special “squirrel baffle” is designed to fit around the trunk of a tree and make it difficult for squirrels to climb the tree. The problem with this method is that squirrels will very easily hop from one tree to the next even if the branches are a few feet apart. You’d have to baffle every tree in the area for this to be even remotely effective. 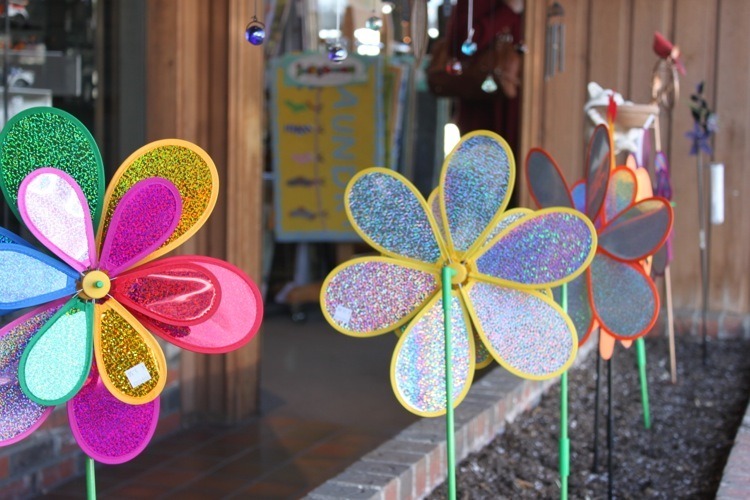 Another option is to try hanging objects like wind chimes, old pie plates or compact discs that will flash and move in the breeze. Or simply plant more trees than you need and surrender to sharing some with your fluffy tailed visitors. 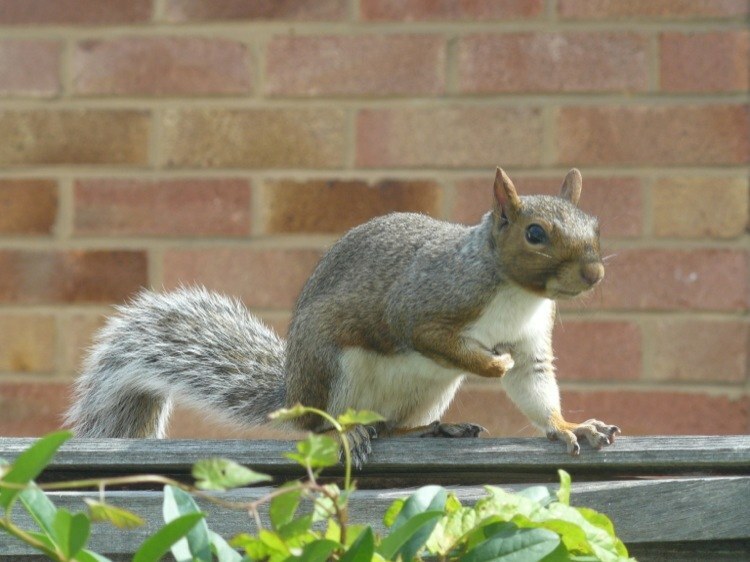 In your flower beds there are a number of plants that squirrels are less likely to munch on. 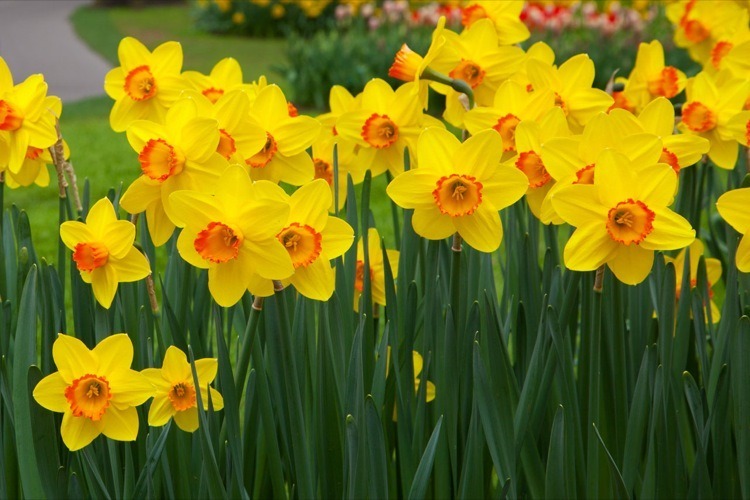 Try planting allium, crocus, lily, marigold, hyacinth, daffodil, impatiens, geraniums or columbine if you’ve had a problem with squirrels eating your flowers. Garlic and onions are some of the only veggies squirrels won’t touch. I haven’t come across any squirrel repellent plants that actually cause the squirrels to want to go elsewhere. If there is a squirrel nest in a tree, in your yard or in your shed or attic, you’ll need to carefully consider how to deal with it. 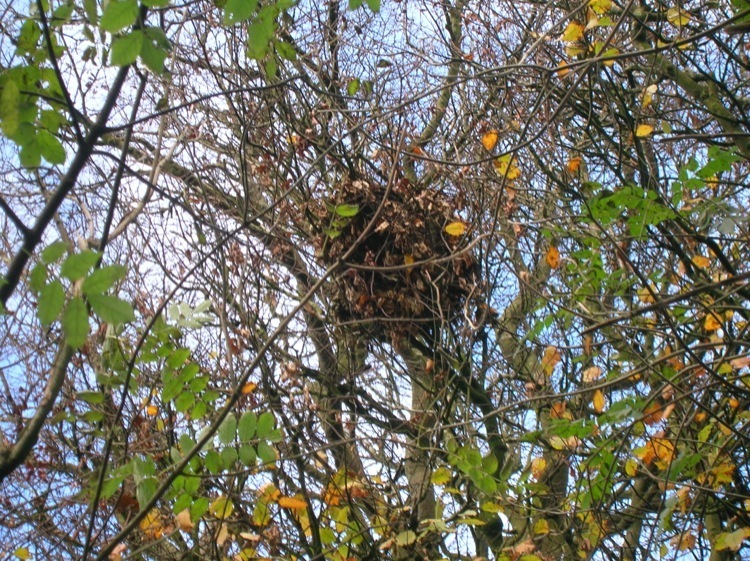 If there is any possibility of babies in the nest you may be required by law (depending on the laws in your area) to leave the nest alone until the babies have moved on. Once the babies have left the nest you can make efforts to give the squirrel family a permanent eviction notice. Do this by placing some rags soaked in apple cider vinegar in a container with a few holes punched in it. Place the container in the nest to stop squirrels from returning. Add more vinegar as the rags dry out. If you have squirrels living in your attic or another part of your home, you will need to evict them promptly before they can cause too much damage. This can be a tricky problem to deal with and you may need to call in a professional pest control service to ensure it is handled properly. If you already have squirrels living in your attic, you can get a one-way door that will let the squirrels out, but not allow them to return. However, this may mean a nest of abandoned babies is left in your home, so this is really best left to the professionals. Ideally, you will find the right combination of the techniques above that will help to keep your squirrel problems manageable. It would be really helpful to people if you would post down below what has (and hasn’t) worked for you with keeping squirrels out of the garden. Thanks! You didn’t mention the most effective squirrel eliminator of all: A small animal cage trap. A $25 rabbit trap is perfect for a squirrel. Put grain or peanut butter inside and set the trap near where you know they go in your garden. Usually within a few days you’ll trap one. Maybe half the time the squirrel manages to get the food without triggering the trap door, but at that rate you can still get rid of them with just a small effort each day. If you have a massive infestation like I had two years ago, you can trap more than one a day. You can drive the caged squirrels away and release them, passing the problem on to others a few miles away, or shoot them in the cage (I haven’t done this) or just let them stay in the cage for a few days and let them “go to sleep permanently”. I trapped over 50 ground squirrels two years ago and about 5 last year. Now I have zero squirrels and I can grow lettuce, strawberries,apples, blueberries, etc. again. The suggestion to TRAP AND STARVE SQUIRRELS TO DEATH rates a “thanks for sharing” comment from the guy who claims to be the organic smiling gardener?!? Time to take this blog off my reading list. My apologies Howard, you’re 100% correct. For the record, I had glanced over Charlie’s comment and was just thanking him for sharing in general, but ya, I don’t want any animals to suffer, or die, and frankly, I wouldn’t even move an animal down the road because that just passes the problem onto someone else (or maybe there are appropriate places to release them – I don’t know). Personally, I stick with physical barriers, deterrents and repellents. Thanks for speaking up, Howard – I appreciate it. Physical barriers won’t work for me. I have a huge garden (150′ X 50′), and I’m not going to spend thousands of dollars on tight expensive netting. Squirrels are such good climbers and diggers that a barrier would have to be very well designed and expensive to work on such a scale, and even if I could build such a barrier, the cost would make my greens and fruit ridiculously expensive. advise to call professional exterminators. What do you think they do with pests? Are you just trying to be everything to everybody? As for euthanizing a caged animal, Isn’t that what I’m doing with squirrels? After trapping them should I feed them to cats for a simulated natural death? Or maybe just let the cats hunt them down and kill them without me seeing it. Maybe out of sight makes it ethical somehow? Would that be the organic way to do it? Or maybe I should send them off to Dr. Kervorkian for an ethical death with dignity? Or perhaps slip them some sleeping pills before chopping them up? If you think euthanizing them is okay, I’d like to hear how you think I should do it. Most of my neighbors who trap them shoot them in the cage. That’s how rural people deal with pests of a certain size. I don’t want to shoot them because I hate guns and don’t have one or want one, so I have to find another way of getting rid of them. I drove the first 20 or so about 5 miles away because I really didn’t want to kill them. But that was not fair to others and was wasting lots of time so I needed to find another way. On a hot day I came out to a dead squirrel in the cage, dead from heat stroke. Reluctantly I had found a convenient way to dispose of them in a way that I find better than the alternatives. So the rest all died of exposure. They pass out before dying. Is that really so bad? or having them pass out and then die of cold at night or heat in the day. Taking their food supply away will starve some of them out too, and it will also send more of them into coyote territory looking for food. Is that a better way for them to die? Would that make you feel more organic? What’s really the difference here? I think the only difference is in the way it makes us feel. I don’t think the animals suffer any less because the natural coyotes chewed their heads off. And BTW, if any of you eat any kind of flesh(including fish) , you approve of slitting throats and cutting off heads of animals. Do you have trouble sleeping at night? I don’t, but perhaps you do. Anyway, now that my rant is done, I’d appreciate if you Phil would actually address this issue consistently since you called me out on this and contradicted yourself concerning the use of animal traps. Is it ok to kill certain animals but not others? And why? Do you kill mice and rats in your house? Or do you let your cat kill them so you don’t have to think about it? Are gophers and moles somehow lesser beings than squirrels? All good questions, Charlie. Thanks for taking the time to share. I hope other people will chime in with their views on how to deal with animals that can’t be fended off by other means – I love when people get discussing these issues. My apologies for seemingly contradicting myself from one article to the next. The ‘animal’ articles are actually the only ones on this website (other than the recent Heirloom food series) that I didn’t write. I asked a gardening friend of mine to post them because I was getting a lot of questions from readers. So the list of options in the articles don’t necessarily reflect my views, nor hers – she was just researching and taking note of the options. Squirrels rob my entire tomato crop, at least until late August (in some years) when acorns begin to appear. This year, I am placing a transistor radio in the garden to attempt to keep them away. If that does not work, I will probably stop planting tomatoes. Don’t cover your power lines with anything! Don’t go near them. Some power lines have cracked insulation and can be dangerous. Most are 220V in residential areas, but some are 440V. Talk to the power company for better info. Your spouse doesn’t want to be a widow(er). Thanks for sharing that, Art! I’ll add your comment right into the post. Hi, so I read the comments and I’m going to have my little rant. I grew up on a farm and enjoy eating all the meat I can, probably too much to be honest. I solved my ethics meat delema by deciding not to eat anything I wouldn’t be able to kill myself if I had to. Honestly, city people, in my experience often have two major problems they either idealize nature or have no connection to nature at all. Obviously people here atleast have some idea that food doesn’t just come from the store but often it needs to go much deeper than that. Nature is mean. Any animal will take any opertunity to eat whatever they can, it’s called opertunistic carnivorism you can even find examples of it on YouTube such as cows eating chicks. They’re just not equipped to go hunting specifically for meat, but given the slightest opertunity they’ll go for it. As someone who lived next to: goats, sheep, chickens, Ginny hens, cows and horses I can tell you the absolute smartest were the horses who as much as I liked them were about a smart as a dog but not the smartest dog I’ve ever known. And while I’m all in favor of humane killing practices I lost all guilt over eating cows, chickens, and goats (never had an opertunity to eat a ginnyhen but by god they are the second dumbest bird, the domestic turkey takes the dumbest they will drown in the rain because they look up with their beaks open). Humans arbitrarily decide the traits we like and breed for them and breed out the ones we don’t( wild turkeys are very smart) we do this with animals and plants. Weeds are just plants we have no use for, clovers, purse lane, dandylions, and spurge make wonderful salads and we just throw them out without a second thought. We do the same with pests. Just own it. I’m sure everyone will kill aphids and cabbage worms in their garden, of course you can minimize risks by planting marigolds and nasturtiums and so forth but in the end you’ll still kill them off because they’re effecting your life, whether it’s by squishing, organic solutions, or pesticides they’re still going to die. The same’s true with rodents, if you live trap and release you’re honestly most likely killing them anyways. They will have no idea of where hiding places are, food sources, competitors territories, or predictors (or people more likely to use a perminate solution). It’s better to set kill traps and recycle their bodies into the earth. Tomcat makes squirrel sized guillotine traps that work just like regular mouse traps, they’re quick and painless. Poisoning is bad because the scavengers are likely to die from eating the rodents; hawks, foxes, cyotes, bobcats, cats, dogs…… if Phil wants to kill squirrels in live traps, fine, I hope he considers putting the trap in a freezer to kill them quicker and more humanely than leaving them for days. Shooting them in a trap is actually not that bad of a solution to humanely killing them. Really in an urban environment all you’re likely doing is helping with population control. Personally I hang metal signs with cute sayings that move in the wind, it doesn’t really help and I’ve lost all my eggplants to the squirrels and I’m fine with that, but the instant I see evidence of them in my house or of mice well they’ll be moving on in the cycle of life. I would like to follow up on Megan’s rant for a moment. Often we do things that make us feel good, but in the final analysis don’t have quite the result as we intended. For example, don’t kill the squirrels in your yard, but put up a chickenwire cage around your garden to keep the squirrels from eating your plants that you have invested a lot of blood, sweat, and tears. So, win-win, right? Not necessarily. Why? If the squirrels need your garden to feed themselves and their young, and because the population of squirrels in your area is high because there are not enough predators to keep the population in check, the squirrels may need your garden produce to survive. In reality there may not be that much difference between mr. and mrs. squirrel (and family) dying from starvation or from being trapped and “gotten rid” of. That is called the law of unintended consequences. Happens all of the time. So, any of you who think that because Megan and I are carnivors that we are bad people (I was called an animal murderer once), you have the right to believe so for yourself, and as long as you allow me the same freedom of choice. Anecdote: One day, I was able to trap a dozen squirrels in a cage, and was sneaking out at night to let them loose in a neighbor’s yard far down the street. The next day, I had two dozen squirrels in MY yard. The car I passed on the way was that same neighbor sneaking down to my property to let loose the 24 that he had caught that day. I am a better gardener than him, so I lose!! Just wondering if there are sonic repellers that are effective on squirrels. Also, my dad puts a band of metal flashing on the trunks of his pecan trees certain times of the year to stop squirrels climbing. I installed one (Gumu) on my fence on Sunday. Too early to judge its effectiveness. I have a pecan tree and the squirrels love it, I watched them leaping around in the tops to get the nuts a few weeks ago … I’m going to cut that pecan tree down and mill it for lumber as soon as all the leaves are off … I’m happy to harvest that volunteer tree a squirrel probably planted sometime ago and forgot where it was… I moved into this house last summer and began to landscape and plan my back garden, I put a lot of work into it and the soil is clear of weeds, and I had some success with my garden, tomatoes, peppers, melons, I’ve planted a fig, an orange and an avocado, and I’ve added a birdbath because it fits in with my garden and I want the birds for pest control… but the squirrels are now becoming a problem … I have seen them in the garden and now they are digging in my herbs … I have 4 half wine barrels with culinary herbs because I like to garden and I like to cook … the squirrels are really going into the herbs several times a day .. I’m not into molly coddling pests.. so the squirrels are going to disappear one way or another, and I’m not particularly sentimental about rodents (think rat). Re: Squirrels: I had to go to suet cakes with hot sauce incorporated into the mix. I tried applying the hot sauce myself, but it needs to me mixed throughout the seed cake. I also have feeders that close up with the weight of the squirrel. I haven’t yet stopped them (or the chipmunks?) from taking 1 bite from a tomato and then tossing it on the ground. Have just received a shipment of mycorrhizal inoculant and ProBio. Have the 2nd finest clay soil with no natural fertility and have been gardening and amending the soil here for 30+ years. So on to add a new approach. Wish me success, please. We also have clay soil in our backyard. On top of that, the watershed management team told us that we are the lowest point in a 1 block radius, so we will always flood – and (as I’m sure you know) clay soil does not allow for much drainage! I compromised this year by building and installing garden beds. We were thinking of amending the soil, but if you’ve been doing it for 30 years, I may change my approach!! OMG my husband has been battling the squirrels in our yard for what seems like forever! I actually documented the whole experience and everything we tried. The most entertaining was the oil on the post and watching the squirrels slide down – sadly that did not work either. The best thing we did is adopt a prey driven dog…she is not fast enough to catch them – but scares the hell out of them! Note: We’ve spent about $200 on setting up this Garden, including many of the deterrents mentioned above with no success. Starting to think it would be cheaper to buy our Veggies that stage an ongoing war with our furry little neighbors ..? I killed squirrels with cage traps three years ago, and reduced their population substantially. Then, fortunately for me, a stray feral cat showed up at my rural house. I now feed her just enough to keep her around, and otherwise I watch her patrol my garden for squirrels, rats, gophers, voles and mice. Since she has been here, I haven’t had to do anything to control squirrels. She especially likes to hunt baby squirrels, terrorizing them their whole lives. I regularly find small squirrel tails near my garden, along with half rat bodies and bird feathers. She is quite the killer. I don’t know how to go get a good hunting cat. It seems that not all cats are as good as my kitty at killing. I got lucky to have her show up, since she was already able to survive winters by living off the land; all I have to do is feed her once or twice a week and she earns her keep. I am guessing that my current practice of contracting my animal killing to the cat is considered more ethical than my death-cage technique. They are both the same to me; in fact I still think the squirrels suffer less by passing out in my cage rather than having kitty chew their heads off. If my cat were devoured by the coyotes tomorrow, I would go back to the cage technique to combat any further “gray digger” population explosions. My advice to you is to try a cat that lives under the house, if you can find such an animal. If that doesn’t work, get a rabbit cage at Home Depot and trap them with peanut butter. I’ll leave it to you to determine the final step. i actually have a Love-Hate relationship with my squirrels! We have a large oak tree and redwoods. They are fun to watch. Entertaining even! 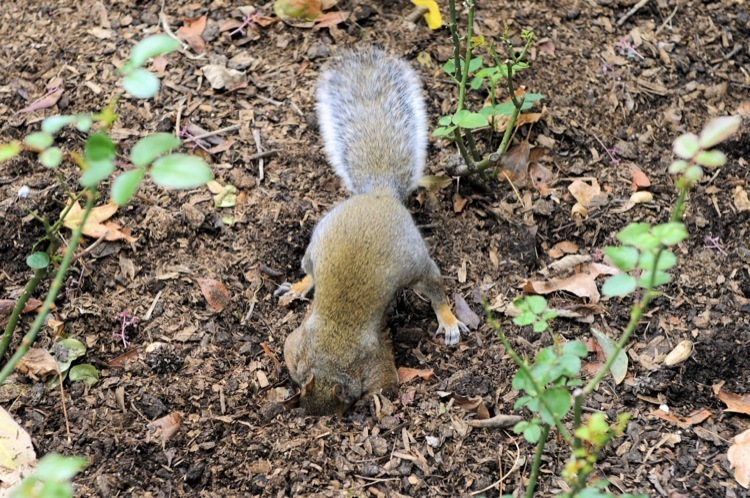 However….they are constantly digging holes in our lawn to bury acorns. My husband is a fanatic about our lawn, however we’ve finally given up on that battle. I also LOVE succulents, and have many pots with them in our yard and patio area. They are CONSTANTLY digging in the pots to burry also! This spring I plan to plant a succulents garden and remove most of the pots. I plan to design it with various sizes of rocks. I’m hoping that it will be more difficult for them to dig through the rocks. Anybody out there able to validate my hopes?